Visit Philly reveals its multifaceted, captivating personality to its visitors with each block, mural, garden and neighborhood. Here, 100-year old cheese shops happily live a few doors down from popular chef-run restaurants. It’s filled with art: inside, outside and on the sides of many buildings. Corner bars thrive, and just about everyone is a craft beer enthusiast. Creativity bursts from art galleries, modern dance troupes, street performers, story slams, concerts and DJ parties. 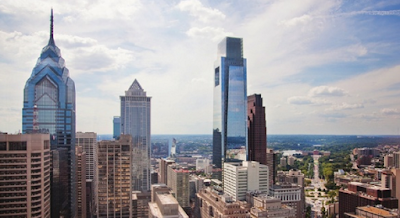 The residents of Philadelphia count on festivals for any and all reasons, bike trails for fun and bike lanes for transport, and live happy and free. Believe in the power of travel; it shapes a person and expands horizons! Visit Philly delivers on the promise of an urban, main street, foodie, historical and cultural, eye-opening, independent experience. It is one destination, five counties, countless things to do. To learn more about Visit Philly and their goals please visit www.visitphilly.com. 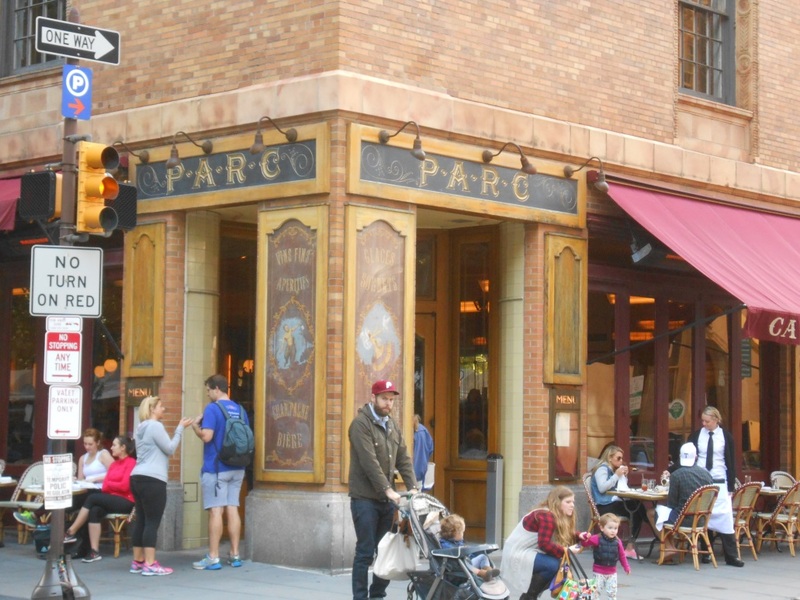 Parc recalls the chic brasseries of Paris, serving traditional bistro fare in a charming space. This restaurant pays honor to French café culture, serving breakfast, lunch and dinner seven days a week. It’s an ideal stop for a quick bite or a romantic meal. The menu is filled with classics such as their infamous onion soup, escargots, and steak frites. The bread is made in-house and is the perfect companion to their charcuterie (artisanal cured meats, country pâté, chicken liver parfait) platter. Parc also has a very diverse selection of wines, offering a variety of sparkling, white, rosé, and red. Sip a Kir Royale at the original zinc bar or just enjoy a café au lait while sitting outside. Parc offers a perfect experience any time of day for any occasion. Parc is a very popular place to during the dinner hours. The restaurant is filled with guests having dinner or drinks. Parc recommends you make a reservation, because there is usually a wait time to have dinner. The inside of the restaurant makes you feel like you are visiting a café in Paris. The atmosphere is very welcoming and comfortable. The wait-staff are very friendly and check on you constantly to make sure you have everything you need, refreshing your bread and water without request. Their service is wonderful, not only are the servers friendly, but efficient. You don’t have to wait too long before your food arrives. And the food!! The food was unbelievable! Bread is complimentary and made in-house daily. 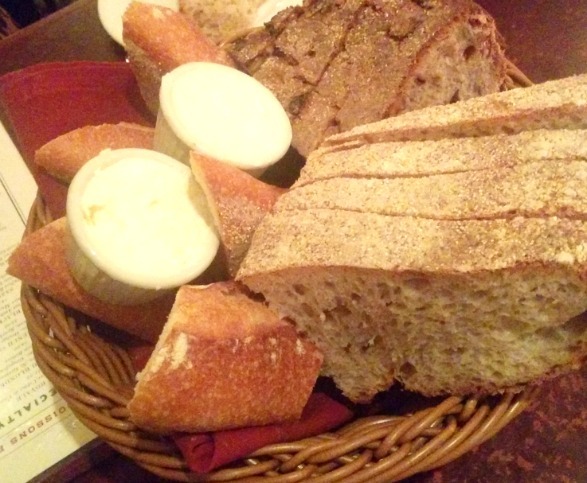 The assorted basket of bread is warm, soft and delicious with each bite. Eat each piece plain or with fluffy butter. Parc offers a selection of wines and cocktails to try. It was very difficult to decide which cocktails to choose. 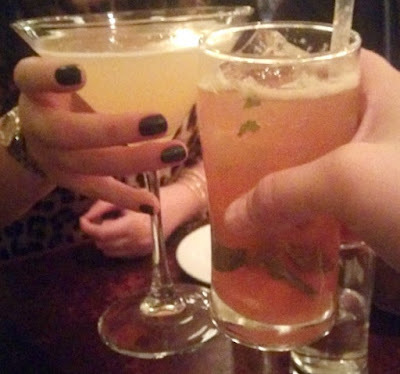 I usually enjoy a sweet to semi-sweet wine, but Parc does not offer those types of wines, so my friend and I settled on cocktails which were very tasty! 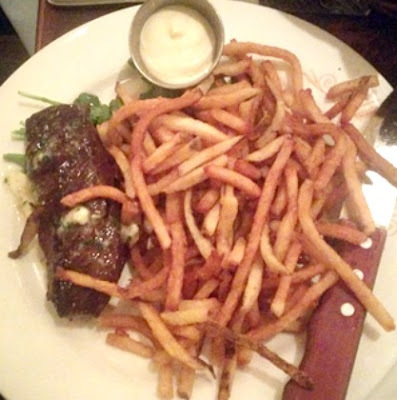 Not quite ready to try something different, my friend ordered Parc’s infamous steak frites meal. Who can go wrong with steak and fries? She ordered her steak medium well, however it was brought out medium. I’m very proud of her for trying something a little under-cooked to her liking, because she was pleasantly surprised at how juicy, tender and savory the steak was. Her favorite part was the fries…crispy, which is just how she loves them. We weren’t exactly sure what the dipping sauce was, but it wasn’t necessary! 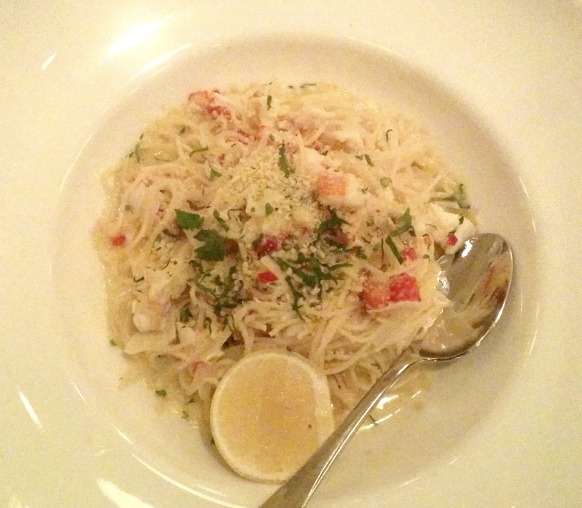 I ordered the King Crab and Pasta meal and it was heavenly. The pasta was perfectly cooked, and the crab was sublime. I especially loved the crème sauce. There wasn’t one thing that I disliked. The meal came with a garnish of fresno chilis. That garnish gave my meal a bit of kick which I very much enjoyed. If I ever go back to Parc, I will definitely order this dish again. Beer Float anyone? Who knew a beer float could taste so good. Choose your beer: Lindemans Framboise, Lindemans Peche or Lindemans Cassis and pair with either vanilla or chocolate ice cream. This float is so filling you won’t be able to finish the beer that remains from the bottle. But if you are looking for something sweet and drinkable, than a beer float is right for you. My absolute favorite dessert is crème brûlée. If it’s on the dessert menus, then it’s getting ordered regardless if I have room for dessert or not. I didn’t have to wait long and it was AMAZING! They even pair it with two shortbread cookies for dipping. 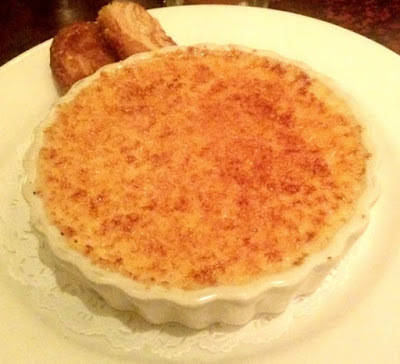 If you like custard, than crème brûlée is the right dessert for you. I was incredibly impressed with every aspect of Parc Brassiere. The atmosphere was busy, fun and comfortable; the staff was courteous and efficient; the wait for drinks and food was quick; and everything tasted ridiculously amazing. I personally give Parc five out of five stars and highly recommend considering them for your evening meal the next time you visit Philadelphia. You will not be disappointed. To learn more about Parc and view their menus please visit www.parc-restaurant.com. Disclosure: Guest travel reviewer Sara Miller received a complimentary meal and beverages. No monetary compensation was received. Regardless, Sara's opinions, thoughts and words are 100% her own unbiased opinion. Your opinion may differ. I love every dish that you described and really want to visit this restaurant that is so much like a Parisian bistro. Perhaps when 8 stay with my older son we shall go into Philadelphia for a day excursion.